Google has announced the release of a new advertising application called Google Web Designer. Building upon the idea of creating responsive web elements that look and work flawlessly across various platforms, this new tool is aimed at helping professionals and novices alike in building interactive HTML 5 content, such as sites, ads, campaigns, and more. Google dubs it a “professional-quality design tool,” and, although still in beta, in now available for free download on Windows and Mac platforms. Google Web Designer was created to allow advertisers to easily create HTML 5 ads for mobile and desktop. It helps advertisers and campaigners to create gorgeous visual experiences without having to handle the coding. But for advanced users, the code if fully editable, giving them much more flexibility. The Google Web Designer Tool brings quite a lot of cool features to the table. Full hands-on control - Comfortable with doing some coding? You can take over the visual editor anytime, and edit all of the code by hand, giving you full flexibility. Switch between the design view and code view just like any WYSIWYG editor! Illustration tools - You can import assets from any other suite or use the built-in illustration tools to create vector-style artwork. Easily create HTML tags in your designs with the Tag tool! 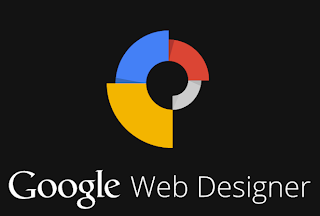 Get Google Web Designer now! To get the desktop software, just go to the download link below (not a direct link), and click on the Download button at the bottom. It'll prompt you to accept the License Agreements, after which you'll be taken to the download page.